Located between Iraq and Saudi Arabia, Kuwait can be mistaken for a luxury destination with its skyscrapers, luxury resorts and large shopping malls. However, this country proves accessible to all, and it is possible to move around freely without a visa. 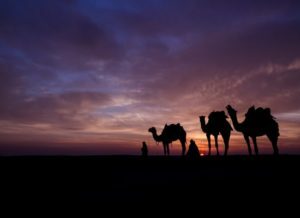 Whilst here, you should not miss a glimpse at the cultural wonders marked by Muslim and Bedouin traditions. The country’s capital is rich in paradoxes, which all exist in harmony. Modern skyscrapers sit next to mosques, large shopping centers sit next to traditional souks, and luxury hotels stand alongside museums. It is also worth visiting the islands on the coastline. To enhance your stay, it is important to respect and follow the Muslim traditions practiced in the country. Despite not quite meeting Western standards, Kuwait is able to offer its residents a sufficient quality of care due to recent economic development. However, the fees for treatment and consultations are high and doctors are expected to be paid immediately. The Al Salam International Hospital and New Mowasat Hospital are the most popular centers used by foreigners, and both offer 24-hour emergency services. Also, note that that French-speaking doctors are available in Kuwait. Indicated by a green cross, local pharmacies are well stocked and stay open late. Most hospitals also offer their pharmacies. It is recommended to bring your own pharmacy and to bring antidepressants and sleeping pills only if required, as they are hard to locate in Kuwait. Ambulance services are reached by dialling 112. Is Kuwait Safe for Travel? Both, a visa and a passport are required to enter Kuwait. Your passport must be valid for at least six months beyond the date of departure.